Event open to the public, with free entrance, as part of the XXIII edition of the CSAV – Artists Research Laboratory. Departing from its usual format, the XXIII edition of the Artists Research Laboratory will focus on a unifying theme rather than on a single artist’s practice. Hannah Black, Michael Dean, Russell Haswell and Karl Holmqvist will lead seminars and encounters, focusing on the ways in which the relation between thoughts and objects, acts and language, sound and words may be cemented or broadened. The 2017 edition will gravitate around these artists shared interest in the ties between physical presence and language, sound, sculpture, performance and poetry. At its core will be a desire to destabilise one’s own voice and to create a highly edited individual idiom capable of returning the tone, colour and history of everyday speech. A shared interest in crafting objects, images, sounds, and speech from and through that which capital considers noise, material at once unproductive and exploitable, unites the four invited artists and will provide a core theme for the Laboratory. The event will begin at 6.30pm with performances from Karl Holmqvist, Hannah Black and Michael Dean. 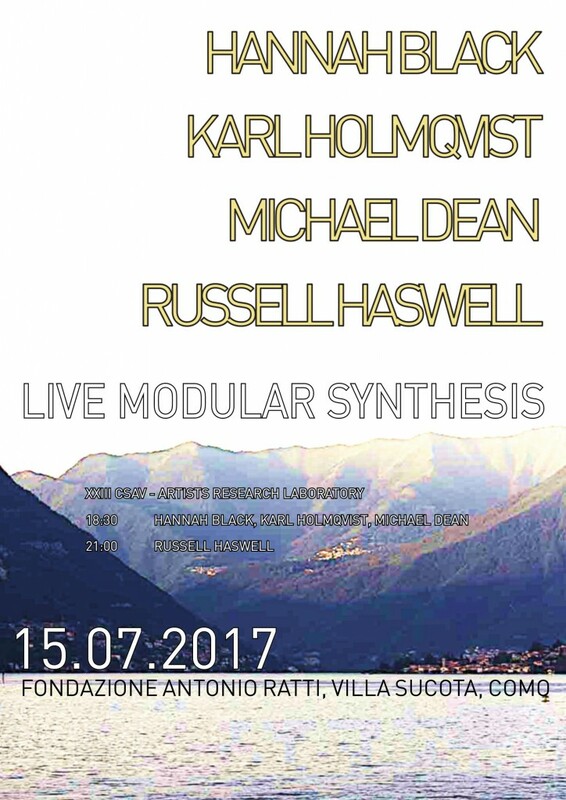 To be followed at 9pm with a concert from Russell Haswell.